The last significant redesign of the iPhone platform came in 2010 with the iPhone 4. It was an update that literally touched all aspects of the device, from SoC to display to baseband and of course, chassis. Last month’s launch of the iPhone 5 is no different in magnitude. The sixth generation iPhone makes some of the biggest changes to the platform since its introduction in 2007. Visually the device begins by evolving the design language of the iPhone 4/4S chassis. From the launch of the iPhone 4 it was quite obvious that Apple had picked a design it was quite proud of. 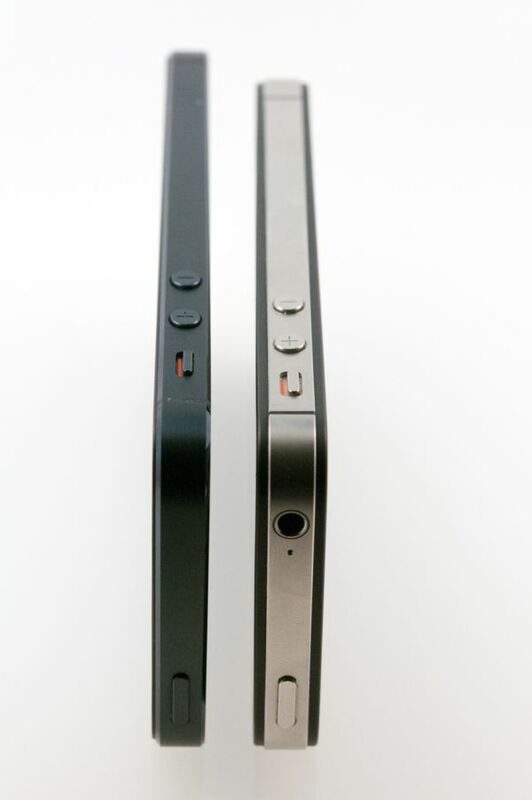 Thus it’s not too surprising that, from a distance, the iPhone 5 resembles the previous two iPhone models. We’ll get into material differences shortly, but what make the iPhone 5 design such a radical departure is its larger display. All previous iPhones have maintained the same 3.5-inch, 3:2 aspect ratio display. With the rest of the world quickly moving to much larger displays, and with 16:9 the clear aspect ratio of choice, when faced with the decision of modernizing the iPhone platform the choice was obvious. The iPhone 5 embraces a taller, 4-inch, 16:9 1136 x 640 display opting to lengthen the device instead of increasing its area in both dimensions. The result is a device that is distinctly an iPhone, albeit a modern one. The taller display doesn’t do much to make desktop web pages any easier to read as a result of the width staying the same. Those longing for an HTC One X or Galaxy S 3 sized device running iOS are out of luck. Reading emails and typing are both improved though as there’s now more room for lists and the keyboard no longer occupies as much of the display. The taller device can be more awkward to use if you have smaller hands, but the added screen real estate is honestly worth it. Once you get used to the iPhone 5’s display, going back to the older models is tough. The taller chassis went on a diet as well. The iPhone 5 is now considerably thinner and lighter than its predecessor, which is yet another factor that contributes to it feeling more modern. Internally the device changes are just as significant, if not more, than those on the outside. The iPhone 5 includes LTE support, which in areas where LTE networks are deployed can be enough reason alone to warrant an upgrade. The iPhone 5 also includes a brand new SoC from Apple: the A6. For the first time since the introduction of the iPad, Apple has introduced a major branded SoC on an iPhone first. 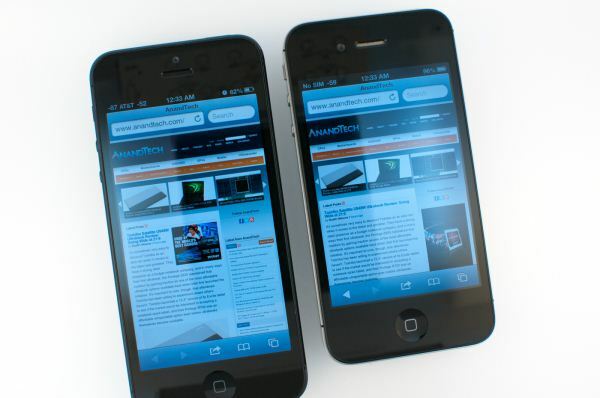 The iPhone 4 used the A4 after it debuted on the iPad, and the 4S picked up the A5 months after the iPad 2 launched with it. The A6 however arrives first on the iPhone 5, and with it comes two of Apple’s first, custom designed CPU cores. We’ve always known Apple as a vertically integrated device and software vendor, but getting into CPU design takes that to a new level. There’s a lot to talk about when it comes to the new iPhone. Whether it is understanding the architecture of the A6 SoC or investigating the improved low light performance of the iPhone 5’s rear facing camera, we’ve got it here in what is easily our most in-depth iPhone review to date. Let’s get started. I have an iPhone 5 and my wife has a Samsung Galaxy S III. Her Galaxy S III has a Super AMOLED 1280x720 display. And yes my iPhone 5 "only" has a 1136 x 640 display. But guess what - I'm holding both phones side by side right now looking at the exact same game and there is no perceivable difference. I looked at it, my son looked at it, and my wife looked at it. On about five or six different games, videos, apps, and a few photos. The difference is academic. You cant tell a difference unless you have a bionic eye. I think you're missing Krysto's point. Of course looking at a 4" 1136 x 640 and a 4.8" 1280x720 display side by side will look equivalent to the eye. But his response wasn't to whether they're similar, but to the minimum requirement dado023 has set for their next purchase to be 720p. I'm no Apple fan, but in their defense, it is completely unneccessary to have 720p resolution on a 4" screen. More screen real estate. Higher resolution, more crap you can throw on it. Course ih a 4" or 4.8" display, how many icons can you really place on the screen. I have a 4" screen and I wished I could shrink my icons though. Would love to get more icons on there. "The ppi of the screen is already 20% higher than is discernible by the human eye." This doesn't mean anything. It depends on how far away the reading material is from the eye. 720p may not be needed for such a small screen but it is better than "not exactly" 720p in that the phone doesn't have to rescale 720p material.